As curling continues to grow around the world the desire and need for large scale launches also increases. We are skilled and experienced in creating attention-grabbing events that create lasting impressions and generate significant media exposure. 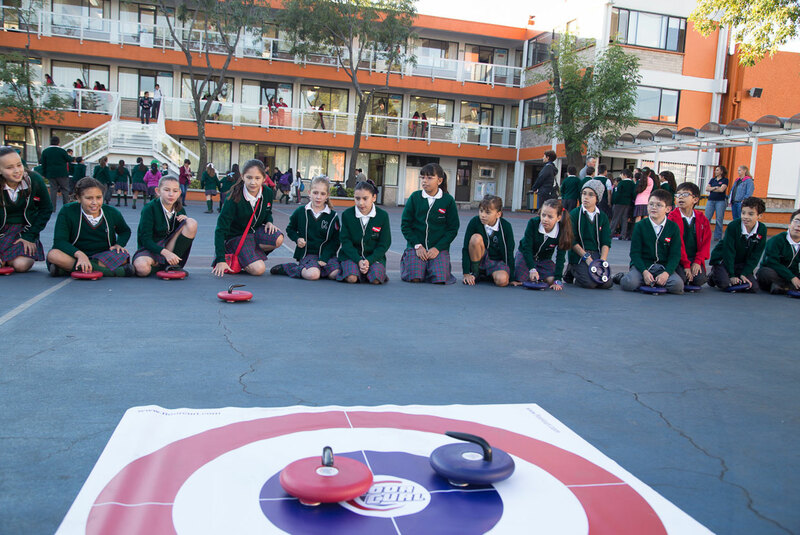 With Curling Mexico’s acceptance into the World Curling Federation family, an exciting opportunity arose to create the first ever on-ice curling experience in Mexico. In addition to on-ice curling, the launch would also include a far-reaching media tour and the introduction of curling to students in their own school. 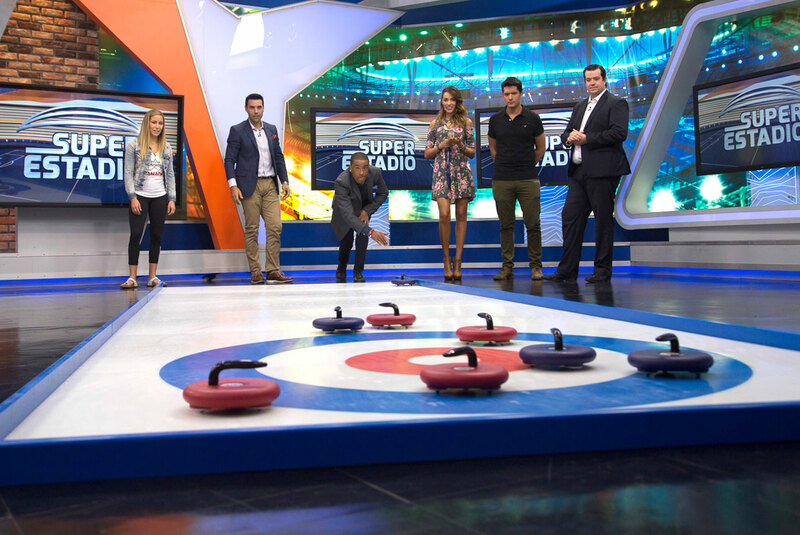 To kick off the launch we took a portable Street Curling rink to some of the most-watched sports channels in Mexico including ESPN, Super Estadio, and Fox Sports. Our Street Curling rink let hosts try curling live on the air, making it the perfect fit for a TV studio. 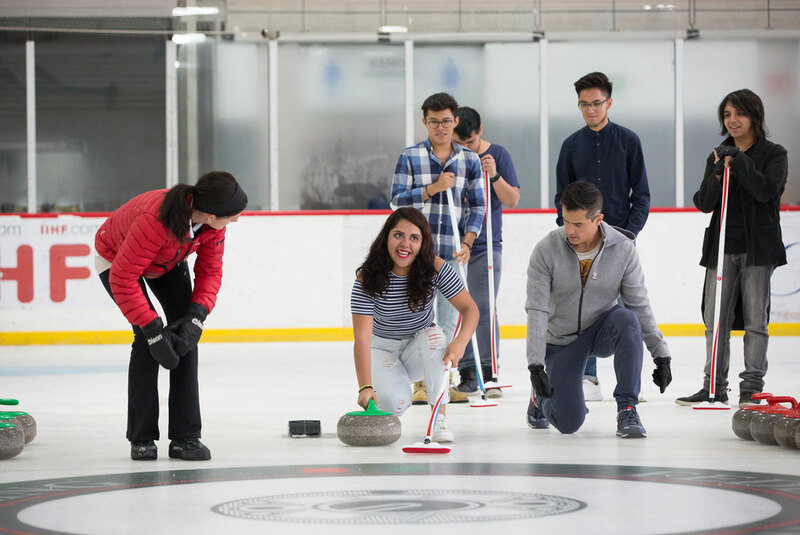 Hosts and sports personalities loved tossing their first stones and experiencing curling while sharing this unique activity with their viewers. 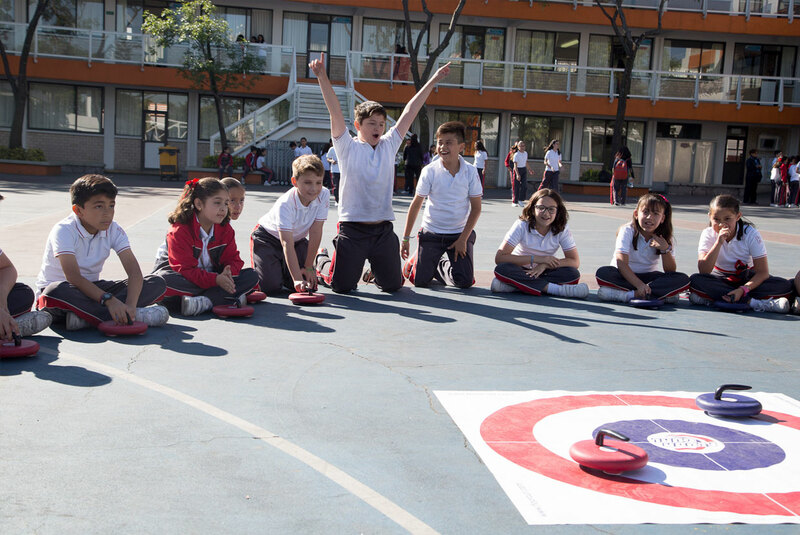 We also used our FloorCurl product to share curling with over 400 students at elementary schools. Instructors provided the perfect mix of fun and education to get hundreds of students hooked on the game. The culmination of all the events was the exciting moment when the first curling stone was delivered on-ice in Mexico. Olympian Kaitlyn Lawes joined us to share her love of the game as part of the World Curling Federation’s Olympic Celebration Tour. The launch was extremely successful, combining ice curling, Street Curling, and floor curling to introduce a country to one of the fastest growing Winter Olympic sports. Launch events led to over 10,700 social media engagements and reached more than 125,000 people online, along with hundreds of thousands of TV viewers.